Jose Mourinho responds to his critics twice-over. 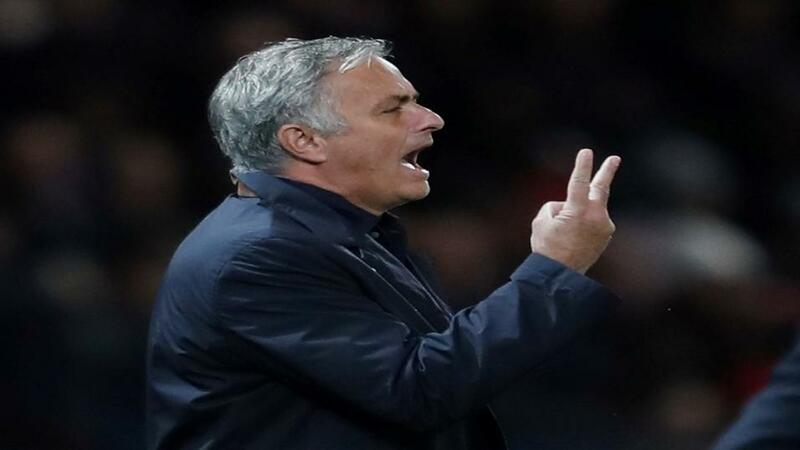 "Even ignoring the crisis circus and tittle-tattle concerning his job security it is fair to state that Stamford Bridge is the very last place Jose Mourinho wants to visit this weekend." It is too easy when assessing the present, wounded Manchester United to be distracted by the screaming headlines and endless repeats of The Mourinho Show. In reality little of that matters because so much of it is made up of noise, gossipy and dramatic. What does matter however is the undeniables: the stats laid out plain and simple and more so our eyes that tell us far more than any idle speculation regarding the players' attitudes or a pundit's reaction to a touchline strop that is solely designed to divert our attention from another poor performance. And what those undeniables tell us is that United are indeed in a great deal of trouble right now. Eight games in they are closer to West Ham in 15th spot than the current leaders Manchester City. They have a minus goal difference. Their most influential stars are routinely anonymous and all told United have put in precisely two half-decent showings in the league since last April. So even ignoring the crisis circus and tittle-tattle concerning his job security it is fair to state that Stamford Bridge - his former fortress - is the very last place Jose Mourinho wants to visit this weekend. His team have lost on each of his three returns there, conceding a total of six without even striking a blow in response, while looking beyond the manager's recent record Chelsea have only lost once at home to United since 2002. If Saturday's clash is a defining one for the visitors for Chelsea it's a game to lick their lips at. Buoyant with confidence after a terrific start to their campaign an avoidance of defeat for the Blues will stretch an unbeaten opening streak to nine games, a feat they have managed twice before in the Premier League era. Both times they went on to be champions. So much of Chelsea's end product this term has come courtesy of Eden Hazard, to such an extent that concerns have been aired about a possible over-reliance on their brilliant Belgian. Should the fans share this concern? Of course not, not when the 27-year-old has been instrumental in 10 goals so far, scoring seven of them in clinical fashion, and generally lifting his side to heady heights during an initial period of acclimatisation to Sarri-ball. Elsewhere Marcos Alonso is in the form of his life while according to Opta arch poacher Olivier Giroud has added a second string to his bow providing more Premier League assists (4) than any of his peers. Hazard is a tempting 11/2 to score two or more goals. If all of the above suggests the 2017 title winners have cause to swagger into battle this Saturday lunchtime a potential hiccup lies not in their opponents but the fixture itself. Because unquestionably embedded in this game's DNA is a disciplinary issue that goes beyond individuals, even eras, and with Mike Dean in charge - a ref who hardly shies from controversy - Chelsea must beware of losing any advantage to chaos. Since 2000 the meeting has racked up an astonishing 177 yellow cards, a number that equates to 4.7 per game while overall it has produced 17 more cautions than any other Premier League match-up. A much more welcome trait to this fixture is its habit of offering up early goals with 20 from the 95 scored in league encounters since the start of this century coming inside the opening 20 minutes. It's a ratio that far exceeds the norm and not only promises fireworks from the off but disproves the axiom that in big games sides tend to bed in and feel the other out. Better yet both teams have already shown a propensity to start brightly this season. In Chelsea's two most challenging home tests to this point they raced into a two goal lead against Arsenal and went ahead against Liverpool with all three goals converted inside the first quarter. Manchester United meanwhile have scored over half of their 13 goals in the first half. A price of 13/2 for over 2.5 goals in the first half stands out in the over/under market. Mourinho's men received a fair amount of criticism last year for their unimaginative football that largely underwhelmed and yet they still finished as best of the rest behind the runaway leaders Manchester City. To a great extent this was achieved through solidity at the back and even if at times that came about from defending in numbers it meant the Reds ultimately boasted the second stingiest rear-guard, conceding ten less than Liverpool and Chelsea. Now though we're talking chalk and cheese. Now they are haemorrhaging 1.7 goals per game having only played one side from the top six. Back in February, long before the gaps and mistakes escalated, Mourinho complained that his team were conceding too many 'S goals' before making it clear it was obvious what the initial stood for. What must his swear word of choice be now and will he air it post-game on Saturday to distract from another poor performance?